I received my Nutrisystem shelf stable order last Thursday and was excited to start. I started the plan last Friday morning. I weighed myself last Friday morning before starting and weighed 337 lbs even. This Monday, I received my frozen items from Nutrisystem as well. Nutrisystem also sent me a water bottle that holds 32 ounces of water and you are supposed to drink at leave 2 full bottles per day. Following the plan couldn't be easier. I was worried that I would be hungry all day or that it would be hard to follow. That hasn't been the case at all. In fact, there have been times I have checked the clock and noticed it was lunch time and had to force myself to eat lunch because I wasn't really super hungry. That's totally a different feeling than I am used to. 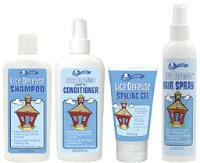 Circle of Friends Lice Defense Products Review & Giveaway!! My daughter is in first grade and between this school year and last year, there has been tons of cases of head lice in her class. Luckily, she never got lice but I worry each and every time I get one of those dreaded "one of the children in your childs class has a case of head lice" letters. Not only are they a pain to get rid of but most of the products made for lice removal contain harsh chemicals and smell awful. I would much rather prevent them to begin with versus having to deal with them. Wouldn't you?? With that said, Circle of Friends sent me 3 of their Lice Defense system products for review. There are 2 hair care products and 2 styling products in the Lice Defense line.The hair care line includes Lice Defense shampoo and Leave-in conditioner, while the styling products are hair spray and styling gel. 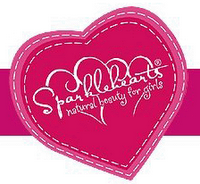 Sparklehearts beauty products are designed with younger girls in mind. Their products are 99.6% natural and made from organic ingredients. Made in the USA and never tested on animals as well. Sparklehearts cares about the environment too as their packaging is made from 100% recyclable materials. Advice for Keeping Families Safe this Fall + Master Lock Key Safe Review and Giveaway! Did you know that studies show that 4 out of every 5 students participate in some extracurricular activity outside of their required classload? As fall approaches, family schedules inevitably fill up with these after-school practices, work obligations, parent teacher conferences and more. Before heading out, take a step back to discuss your family's security routines and the measures everyone should take to keep their homes and each other safe throughout the year. 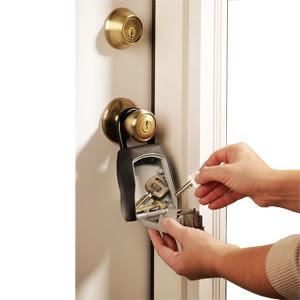 "Fall brings an abundance of schedule changes and families working to adapt to new routines," said Rebecca Smith, vice president, marketing for Master Lock. "As calendars become full of different activities, Master Lock can help families with a variety of security measures to ensure they can safely maintain a busy lifestyle." My daughter loves to read books so I happily accepted to review an upcoming line of children's books. AdoraPet books were founded by YiShaun Yang when she was working as an attorney. As she was filming a documentary for kids showing puppies playing, she realized that her passion is nourishing happy minds and developing new ways for kids to see and safely experience the world by creating children's products that inspire kids to read, play, dream and discover. YiShaun created Pima Puppy and Pico Puppy as the embodiment, natural curiosity, imagination and sense of adventure. 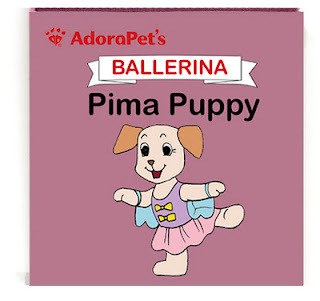 Pima and Pico are a little girl puppy and boy puppy who love going on adventures and sharing them with your child through their themed books and dress-up toy outfits. Winnie the Pooh DVD/Blu-ray Combo Pack Giveaway! The Pooh on DVD and Blu-Ray October 25, 2011! I am excited and terrified to announce that I have been accepted into the Nutrisystem Blogger program! I am excited because I need to lose weight and I know that with hard work I will. I am terrified though at the same time because this means I am going to have to put myself out there for you all to see. You see, I have struggled with my weight nearly my entire life. I was a fat child and was picked on a lot due to my weight. As an adult, I was always overweight and now, at 31 years old, have reached a low point. I currently weigh a whopping 337 lbs(I can't believe I just admitted that on my blog). I need to do this, not only for myself but for my beautiful daughter. If I don't take some weight off now, I am afraid I won't be around to watch her grow up. With that said, I will be posting weekly updates, including a few video blogs as well, as to my progress and letting you all know how I am doing or asking for moral support. "Like" my link to help me review and give away a SweetPea3 MP3 Player! I need YOUR HELP! Hey everyone! I am participating in a little contest in order to have the chance to review AND give away a kids SweetPea3 MP3 player! But I need your help!! Please visit here and hit the "Like" button on the page for my blog. The 10 bloggers who get the most "likes" by 11/1, will be able to review AND give away one of these fabulous kids MP3 players!! My daughter would LOVE one of these because most mp3 players you need headphones to listen and with her Autism, headphones and earbuds bother her, so I really would love to be able to review one. Plus, I love giving you fab readers a chance to win! The SweetPea3 is the top selling MP3 for kids on the market. It is a real MP3 player that holds 32 hours of music and plays through a speaker. Kids and parents alike love this player because it makes music so accessible and it lasts forever. Your path to improved dental health and well-being starts with Dr. Sharp’s fluoride-free products. We offer you a sophisticated approach to natural oral care, courtesy of Dr. Bruno Sharp, Miami’s leading aesthetic dentist. His vision and dedication to the demands of educated consumers combines decades of experience with advanced technology – all of which has created some of the most cutting-edge, doctor-endorsed oral health products available today. Both my daughter and I wear glasses. She wears glasses full time, while I only use glasses for reading and computer use. I have hated shopping for glasses for us both in the past. We need them to see but the prices are insane. The insurance that we currently have only pays for lenses for my daughter and a tiny amount towards frames. For me, they pay for nothing at all. The last time my daughter needed new frames, I paid about $150.00. The last time I got glasses, I paid a little over $300.00 with lenses. Crazy!! Are you tired of paying insane prices for eyeglasses? I have a solution! 39dollarglasses.com! About 39dollarglasses.com They have a very broad range of eyeglasses and sunglasses. They have men's eyeglasses, women's eyeglasses, kids eyeglasses, metal eyeglasses, rimless eyeglasses, bifocals and even sunglasses! I love shopping, especially for my daughters clothing. I want her to look the best that she can, while not paying through the nose. Quality of clothing is also a big factor for me. What good is a cheap outfit if the quality is terrible and doesn't last? I would much rather pay a little more for quality items that last and look great! I've known about Tea Collectionfor awhile now but never took the plunge and purchased anything from them. I recently contacted them to see if I could review some of their items and they happily agreed! My daughter loves to read books. She has always loved books. I am always on the hunt for books that are not only fun to read but educational as well. 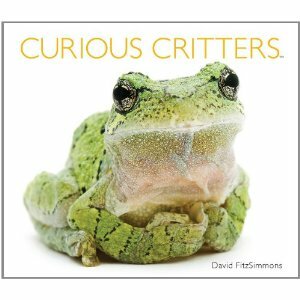 I was recently approached to review a book called Curious Critters by David Fitzsimmons. After reading about what the book was all about, I knew I had to review it as I knew my daughter would love it. About Author David Fitzsimmons David Fitzsimmons is a freelance photographer and writer as well as a university professor. He photographs and writes for various magazines, including Outdoor Photographer, Popular Photography and Shutterbug, as well as newspapers and online publications. He has over 100 calendar credits including numerous titles by BrownTrout and Barnes & Noble. Curious Critters is David's first children's picture book.